The Heathrow HiFi News show is almost completely focussed on high end two channel audio, therefore one of my favourite places to be. The number of rooms isn't as big as at the Bristol show, but the number of really interesting rooms is higher nevertheless. I have been very busy lately, so here's a short report on the highlights. 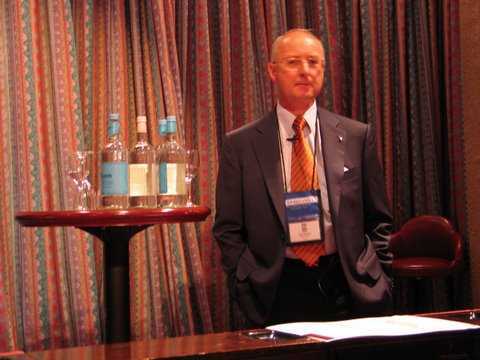 I started by attending a talk by Russ Andrews on mains. Sadly, there were only about 20 people there, which was a shame as the talk was certainly worth it. To Russ' credit it was absolutely not about pushing his own products, but a seemingly fair and unbiased overview of the full range of problems that can occur with mains electricity and how to solve them. You will all be very relieved to find out that one of the first things to do is tighten the screws in your mains sockets, as these are often a problem. As the talk went on it became clear that Russ Andrews conviction is that mains impedance is of great importance. All mains products by his company are therefore parallel devices without anything wired in series. This is a distinct difference to other companies. I hope to find out more about this in the future. At the Russ Andrews stand there was an experimental setup that showed the effect that their simplest device, the 'silencer', had on the local mains. It showed a clear 50 dB drop in noise when the little silencer was plugged in. Impressive, as this simple device will only cost you £40 and can be plugged into any mains socket next to your Hifi components or something that interferes with your system as a refrigerator or a computer. 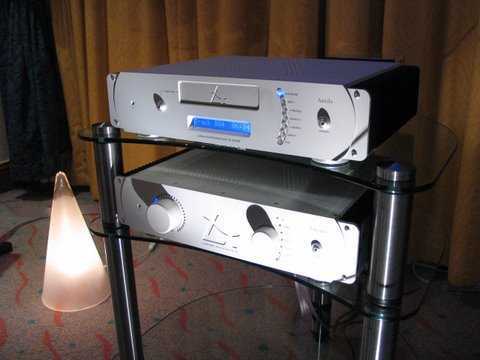 Of course, the effect on the sound of your system will depend on more parameters. Interesting was the Musical Fidelity stand, where the latest 250 watts all-in-one box was playing some music coming from an iPod! It didn't sound very good, and as the unit also contains a CD player we asked if a CD could be played on it. To our amazement the sound hardly changed at all! It still sounded thin and unconvincing. 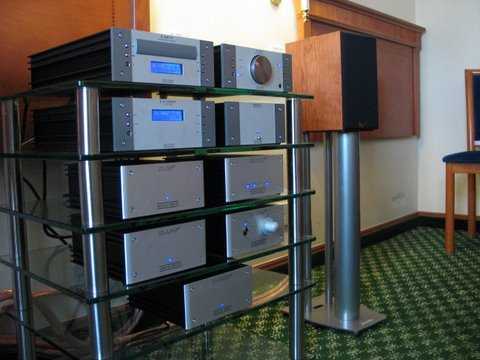 We had visited the room a few hours earlier, but left as it was very busy, and at that time the new X-Series system was playing, sounding remarkably good. So, we asked if the same CD could be played on that system. To our astonishment it sounded quite good on that. A much fuller sound altogether. Perhaps the all-in-one box wasn't burned in long enough yet, we asked. 'We never burn in anything, it is all brand new, straight out of the box' was the answer, 'our MD (Antony Michaelson) doesn't believe in burning in'. 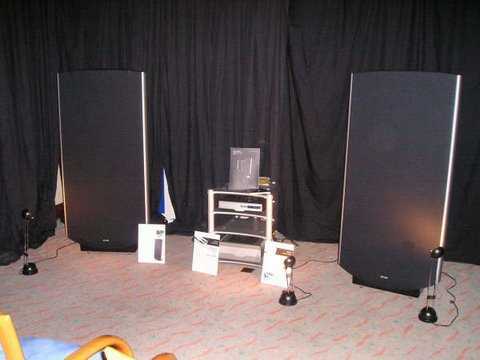 For me the highlight of the show were the new Quad Electrostatic loudspeakers. They looked good, sounded brilliant and made many other systems at the show look horribly overpriced. After a few hours of listening to enormous audio systems the ears tend to get a little bit tired, but the sound coming from these Quad beauties was so unforced and natural that I enjoyed every second of it. And if you think that Quad ESL's cannot go loud or don't do bass, think again, as this system was utterly convincing and reproduced music with complete authority. The trademark transparency is still there, of course, together with the famous disappearing act. Fantastic. And all the more impressive as it was all driven by a Quad CDP 2 CD player and a 909 power amp, components that almost seems like belonging in the budget department compared to much of the rest of the show. Another one-brand system that impressed me very much was the Leema setup. They have just introduced a CD player, and in combination with their integrated amp and their little floorstanding speakers it too made a very good case for CD audio. That player does contain 20 DACs by the way! That is 5 dual differential DACs per channel. The sound it produced was crystal clear and very detailed, but without any digital edge. Amazingly, Leema only consists of three people! One of the most interesting new companies in audio, to be sure. And for nothing else than excellent sound quality, although the equipment looked very well build and thought out too, I have to say. The thing that always strikes me on Hifi shows is how great single driver speakers can sound. It must have something to do with listening fatigue, but almost every time when I enter a room with simple one-way loudspeakers it feels like an oasis. Music at last, after all that Hifi. I already mentioned Quad, whose ESL's are also single driver systems, obviously. 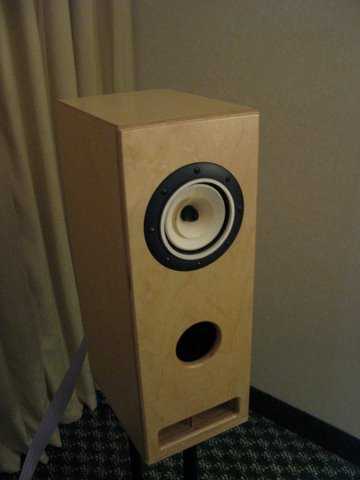 Another great example were the small Feastrex speakers. Completely handmade in Japan with large spherical magnets that were sadly not visible from the outside. The cones are claimed to be made out of special paper, although the guy doing the demo told us they were made out of mushroom by one Japanese man, probably a very old one. Well, no matter where the mushrooms went, into the speaker or the salesman, the result was excellent and natural sound, both from CD and from vinyl. We enjoyed it very much, although the mushroom guy told us that the trick was mainly choosing the right music to play. Strange honesty, from both speakers and salesman. Costly, though. I'm sorry I didn't have time to report on more rooms and interesting products. I did enjoy the show very much and would recommend it to everyone with an interest in good two-channel music reproduction.